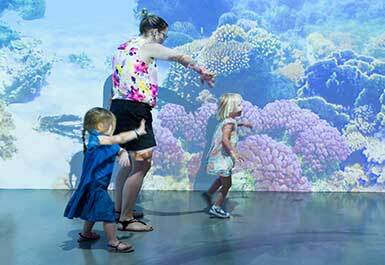 Travelling to Brisbane to see 'The 9th Asia Pacific Triennial of Contemporary Art' (APT9)? QAGOMA is part of the Cultural Precinct – an innovative arts district at Brisbane's South Bank that houses the state's major cultural institutions including the Gallery, State Library of Queensland, Queensland Performing Arts, and Queensland Museum. This unique Cultural Precinct is adjacent to the South Bank Parklands and the Brisbane Convention and Exhibition Centre. Brisbane is the quintessential Queensland city: understated, unpretentious and with a welcoming, laidback vibe that flips the traditional city experience on its head. 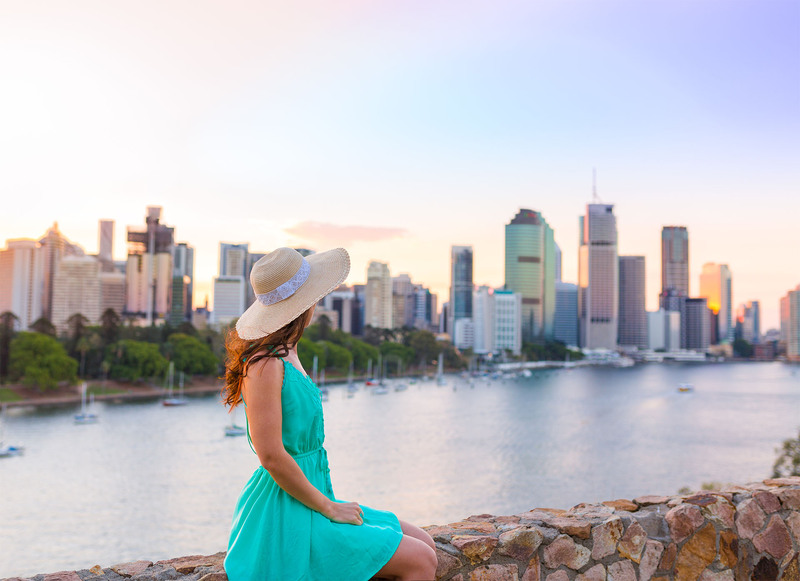 Beyond the Cultural Precinct, embrace the outdoor lifestyle or dine riverside along South Bank Parklands, go shopping in the Brisbane city centre, soak up the eclectic culture of West End, visit Fortitude Valley's vibrant boutiques and bars or discover the city's many other thriving districts. Further afield, explore the lush surrounding hinterland or the sandy beaches of Moreton and North Stradbroke Islands. For a comprehensive guide to where to play, stay, shop, eat and drink in Brisbane, go to visitbrisbane.com.au. Get insider knowledge on the city via one of the many Brisbane Greeters free tours on Brisbane's arts and culture, wining and dining, heritage and architecture, sites and attractions. QAGOMA ALSO WORKS WITH THE BRISBANE HOTELS BELOW. 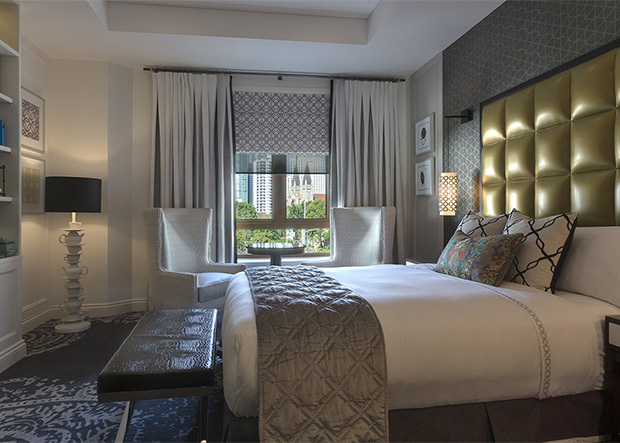 The recently opened Emporium Hotel South Bank has set a spectacular new standard in exquisite boutique luxury accommodation and award-winning service. A total of 143 luxuriously appointed suites feature all the comforts you could ask for, while a range of premium food and beverage options will leave you spoilt for choice. 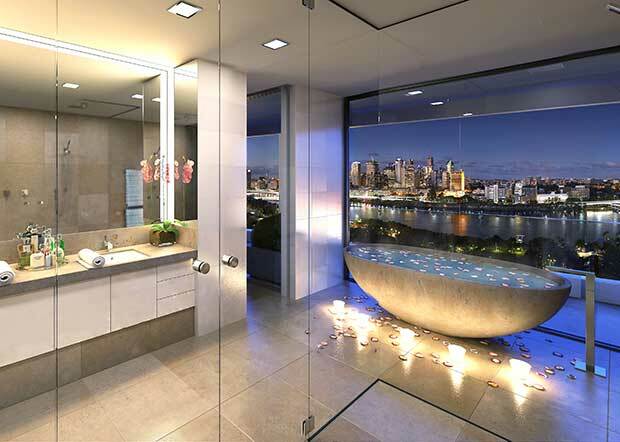 On level 21 you will find a spectacular 23m infinity edge pool and bar with magnificent views over South Bank Parklands, the Brisbane River, city and beyond. The coveted north easterly aspect allows comfort and enjoyment morning to night, all year round. 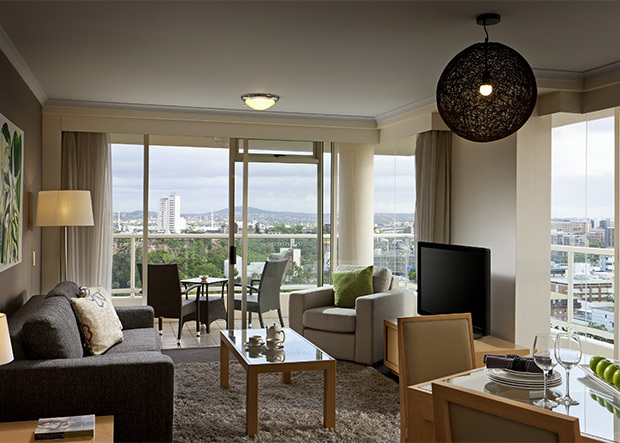 Located in the heart of South Bank's cultural district, a stone's throw from the cosmopolitan West End, and a short 15 minute walk to the Brisbane CBD, our luxury apartments are your perfect choice for your 'home away from home' during your next stay in Brisbane. Unwind in our day spa, work up a sweat in the gym, enjoy a refreshing lap of our inviting pool, or indulge in a meal in our on-site restaurant and bar – 35 Bar & Bistro. The Capitol Apartments also offers free Wi-Fi, free parking and the best rates when you book direct. For reservations, visit the website, email or call +61 (0)7 3844 5800. Enjoy your stay with us in a 1 bedroom apartment on trendy Park Rd – jump on the City Cat from the new Milton terminal, South Bank precinct or by the river in Kangaroo Point. The self- contained 1 bedroom apartments are suitable for a one night stay or more, just minutes from a variety of restaurants, shopping & entertainment and all conveniently located close to public transport. For reservations, visit the website or call 1800 077 777. 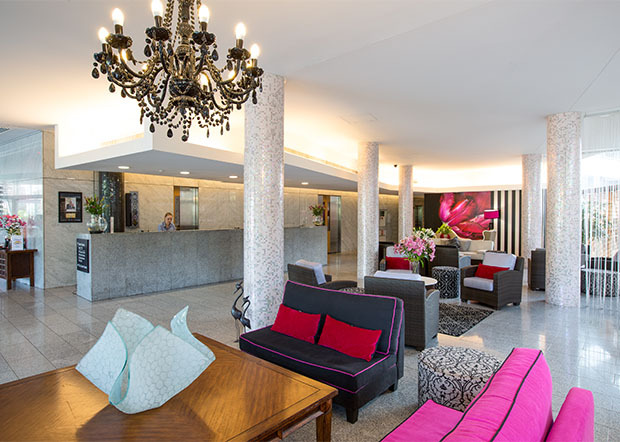 Positioned overlooking the Brisbane river towards the Gallery of Modern Art and Southbank precinct, you will enjoy the services of a hotel with the extra space and comfort of an apartment. Evolution Apartments offers visitors easy access - to everywhere! Roma Street Train and Bus Station is across the road, you can walk to Suncorp Stadium in a matter of minutes and the Queen Street Mall is a short walk. Best of all, the Kurilpa Bridge is outside the front door, and will take you only 6 minutes to walk over the river to QAGOMA and the South Bank arts and relaxation precinct. For reservations, visit the the website, email or call +61 (0)7 3034 3700. Hotel Urban Brisbane is an architecturally designed blend of open spaces & luxury fittings creating an unmatched level of ambiance. Surrounded by Roma Street Parklands that overlook Brisbane CBD, an under 10 minute stroll to Central Station, and with the Spring Hill City Loop on your doorstep, this property is the perfect place from which to enjoy your Brisbane trip. With a gorgeous outdoor pool, full service gymnasium, and onsite Gazebo Restaurant & Bar, you will love immersing yourself in Urban Brisbane – the heartbeat on the hill. 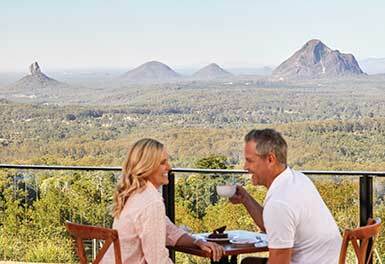 For reservations, visit the website or call +61 (0)7 3831 6177. 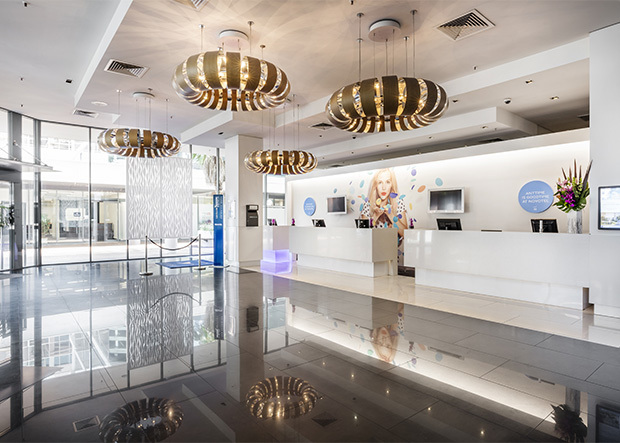 With its superb central location, Ibis Brisbane provides the ideal base for exploring the best of Brisbane, from its stylish cafes, bars and restaurants, to its many cultural, sporting and historical attractions. 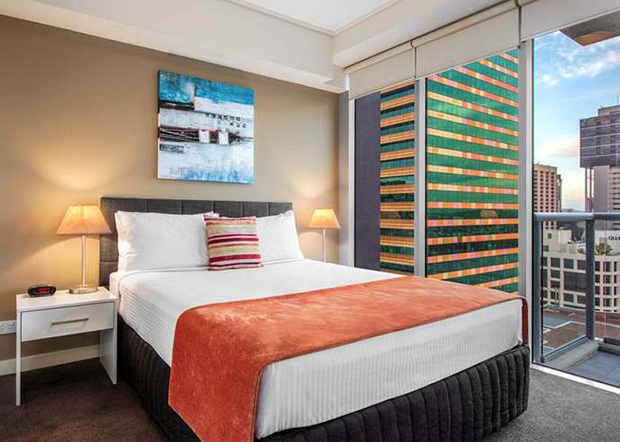 Guests staying at this convenient Brisbane hotel are within walking distance of Suncorp Stadium and Roma Street, as well as a range of public transport options. By walking over Kurilpa Bridge, guests can discover South Bank, Gallery of Modern Art and Queensland Art Gallery and the Wheel of Brisbane. For reservations, visit the website, email or call +61 (0)7 3237 2333. 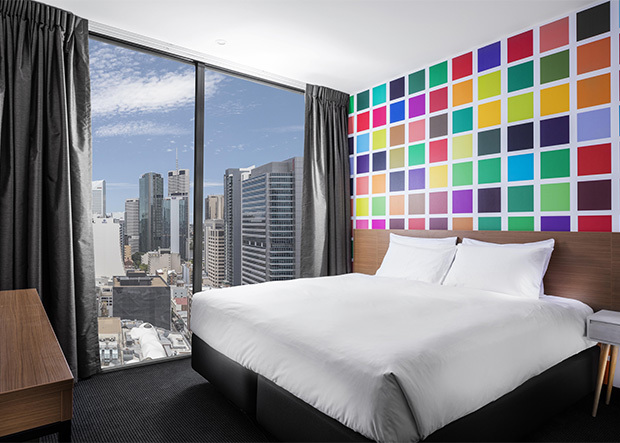 Located at the heart of the Brisbane CBD, the 368 room Ibis Styles Brisbane features uninterrupted views of Brisbane River, South Bank and the cultural precinct. Vibrant colours and playful design extend through the lobby, to the restaurant and bar, while rooms blend comfort, connectivity and style. The best shopping and dining in Brisbane is at its doorstep with access to Queen Street Mall, Treasury Casino, Eagle Street Pier, Convention Centre and public transportation. For reservations, visit the website, email or call +61 (0)7 3337 9000. 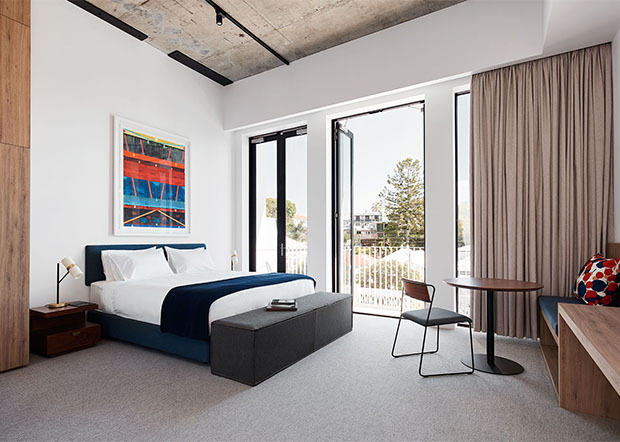 Set in Spring Hill on the doorstep of Brisbane's vibrant CBD, The Johnson hotel takes it design cues from celebrated Australian abstract artist, Michael Johnson. This luxury boutique hotel hosts a myriad of features including 96 self-contained, open plan suites including, two elegant penthouses and two sub-penthouses, a 50 metre pool with a sundeck, a gymnasium, plus conference and events facilities. The guest experience is further complimented with onsite restaurant and bar, Tumbling Stone, lashings of Johnson artworks, in-house art libraries and a dedicated art channel. For reservations, visit the website, email or call +61 (0)7 3085 7200. 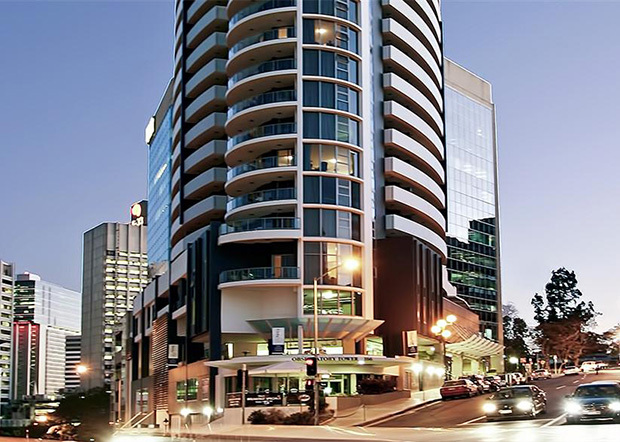 The Manor Apartment Hotel is everything you are looking for in a boutique four-star apartment hotel located in the heart of Brisbane's city centre. All accommodation rates include a daily continental breakfast per person and free wifi. Offering beautifully furnished large serviced apartments and hotel rooms set in a heritage-listed building, the Manor Apartment Hotel is Brisbane's best located hotel offering the best rates when you book direct. 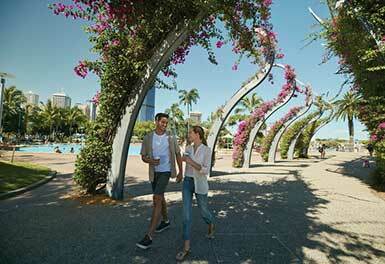 Mantra on Edward places you in the centre of the city, providing the ultimate convenience when visiting Brisbane. What makes Mantra on Edward even more special is the recently refurbished and urbanised décor, along with the peace of mind that you will find absolutely everything you're going to need to make your stay enjoyable and hassle-free. Your self-contained apartment really is a home away from home with a fully equipped kitchen, comfortable bedding. 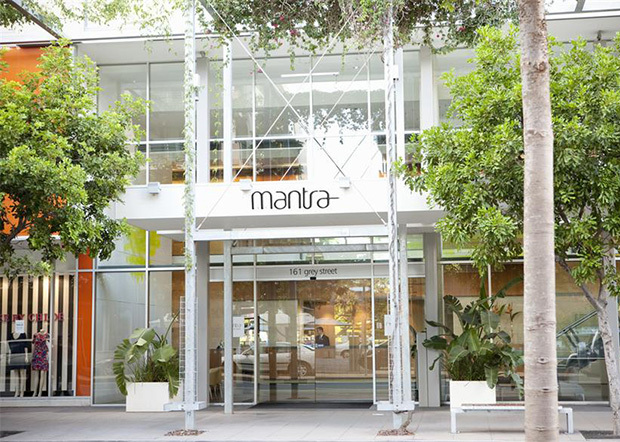 Mantra on Mary is a boutique apartment styled hotel in the heart of Brisbane's CBD. You'll discover spacious and well-appointed apartments with modern amenities. Our apartments boast stunning city or river views and are within walking distance to Queen Street Mall and the Botanical Gardens. We are your home away from home. Located on the Brisbane River and only minutes from Brisbane CBD, Mantra South Bank offers comfortable and modern accommodation enhanced by fantastic water views and close proximity to the city. 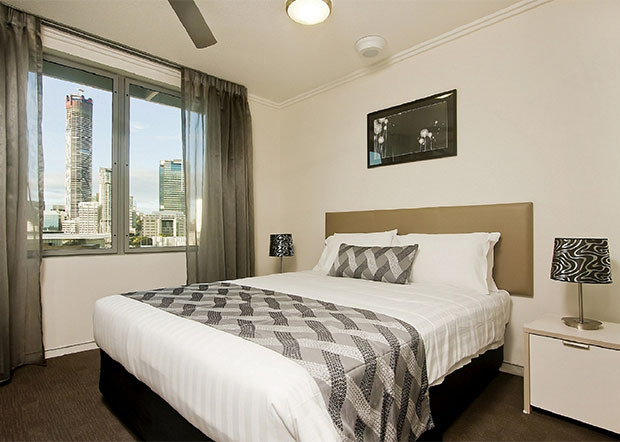 This Brisbane hotel offers a variety of room types including Hotel rooms, Studios, and self-contained One and Two Bedroom Apartments, Mantra South Bank has everything you need for your Brisbane getaway. Set in a polished high-rise building, this upscale hotel is 2.8 km from the Queensland Art Gallery and 3.2 km from the Gallery of Modern Art. The sophisticated rooms and suites have Wi-Fi (fee), flat-screen TVs, iPod docks, and tea and coffee making facilities, as well as mini fridges and marble bathrooms; all offer city/river views. Upgraded quarters add free parking and breakfast, and private lounge access. Suites feature living and dining rooms. Room service is available. Amenities include a river-view restaurant/bar with a terrace, plus an outdoor pool, a hot tub, a spa and a fitness centre. There are also meeting/event rooms. For reservations, visit the website, or call +61 (0)7 3303 8000. 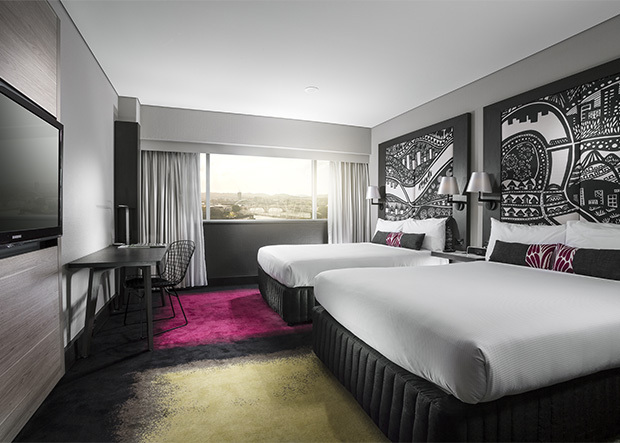 Set on the banks of the Brisbane River, Mercure Brisbane is among the leading hotels for business and holiday travel in the bustling capital of Queensland. 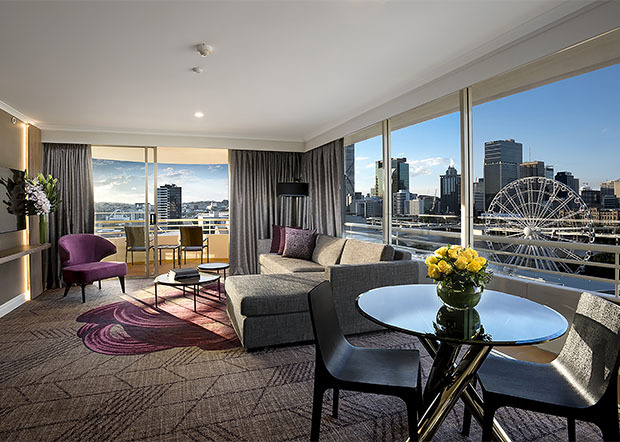 With breathtaking views of the Brisbane River and South Bank Parklands, Mercure Brisbane offers stylish, contemporary accommodation with exceedingly personalised service. 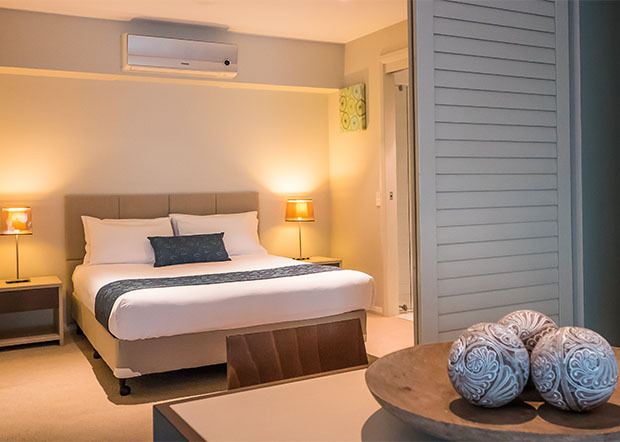 The hotel is just a short walk across the Kurlipa Bridge from the Gallery of Modern Art and Queensland Art Gallery making it the ideal place to stay when visiting one of the fabulous exhibitions at either gallery. For reservations, visit the website, email or call +61 (0)7 3237 2300. 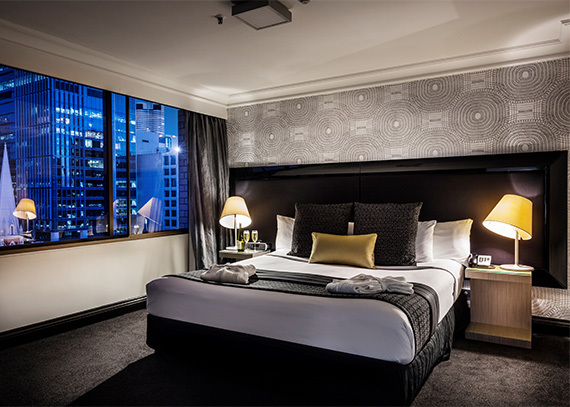 Experience ultimate comfort at Mercure Brisbane King George Square, located within walking distance of Queen Street Mall shopping precinct, offering guests a full range of services and facilities in relaxed yet sophisticated surrounding. 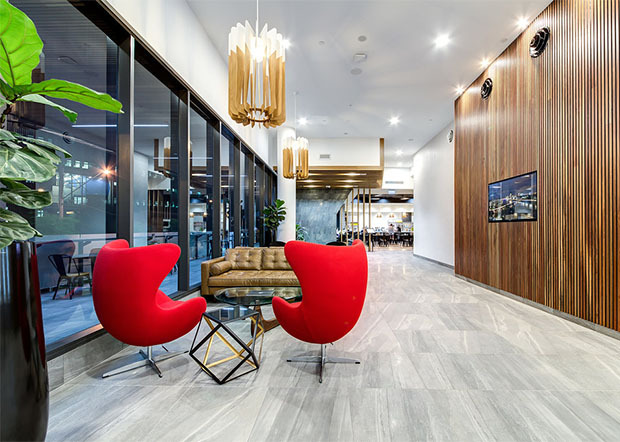 Located opposite King George Square and Brisbane City Hall, this stylish Brisbane hotel is a short walk from Central and Roma Street train stations, as well as a major bus network and ferry terminals. 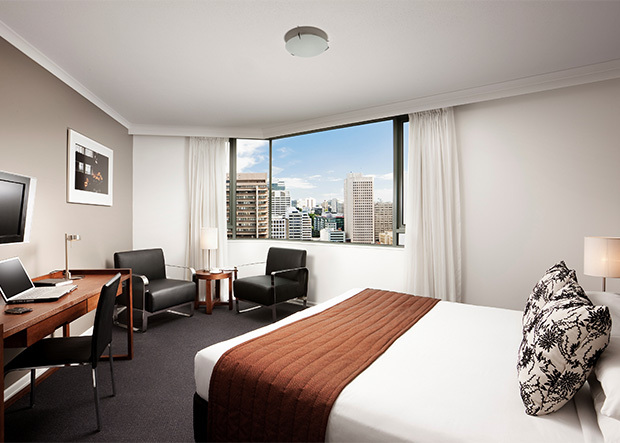 Guests travelling on business can enjoy access to the CBD, while travellers looking to explore are within easy reach of Queen Street Mall, South Bank Parklands and the cultural precinct. For reservations, visit the website, email or call +61 (0)7 3229 9111. 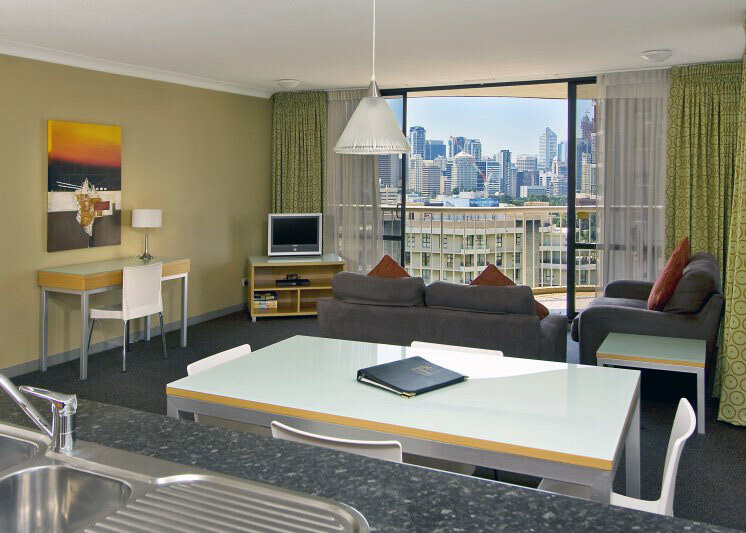 Make yourself at home at Novotel Brisbane in the heart of Brisbane CBD. 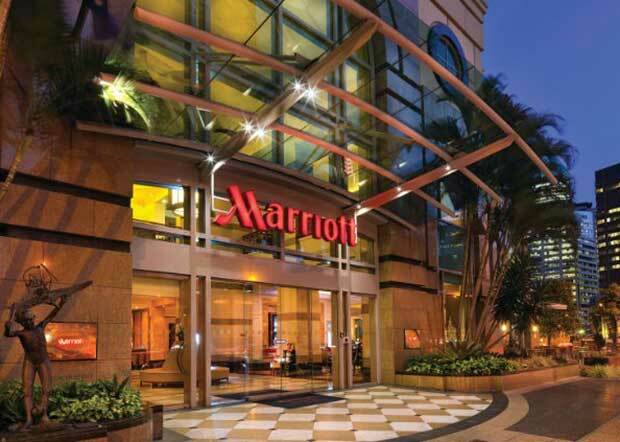 With a convenient hotel location next to Central railway station, and within walking distance of some of the city's best food, galleries' and nightlife, Novotel Brisbane allows easy access to Brisbane's historic dining and entertainment precinct as well as the CBD. With deluxe 4.5 star accommodations and a range of leisure facilities, guests are guaranteed to have a relaxing stay they won't want to leave. For reservations, visit the website, email or call +61 (0)7 3309 3309. 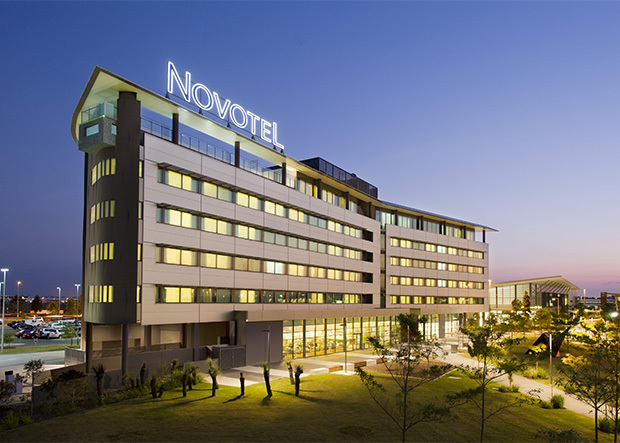 Conveniently located within the Brisbane Airport precinct the Novotel Brisbane Airport is just minutes away from all the action of Brisbane Entertainment Centre, Doomben and Eagle Farm races, the Brisbane Cruise Terminal and Portside Wharf. Stay just a short stroll away from the DFO Shopping Centre and unwind with a dip in our rooftop pool or indulge in a meal from Catalina Restaurant. For reservations, visit the website, email or call +61 (0)7 3175 3100. Enjoy a stay in a luxuriously appointed one bedroom apartment with spacious balcony, full kitchen, laundry and the casino at your doorstep. Enjoy a stay in a stylish one bedroom apartment with full kitchen facilities, laundry, balcony and air conditioning. 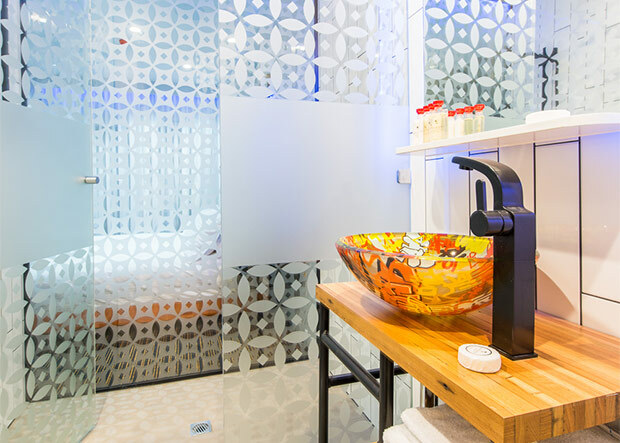 Merging the classic touches of 1920s architecture and contemporary design, Ovolo Inchcolm truly stands out. Situated in a prime location at Spring Hill, guests can have their own private space, away from the hustle and bustle of Brisbane. All rooms are state-of-the-art, endowed with regal touches and bold art pieces. For reservations, visit the website, email or call +61 (0)7 3226 8889. 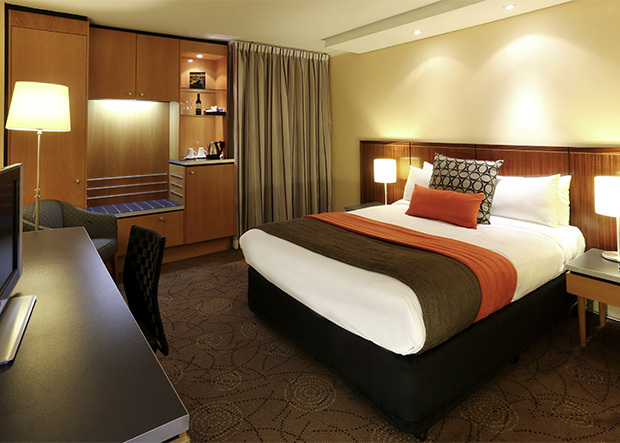 Pullman Brisbane King George Square is a vibrant hotel for the leisure and cosmopolitan business traveller. 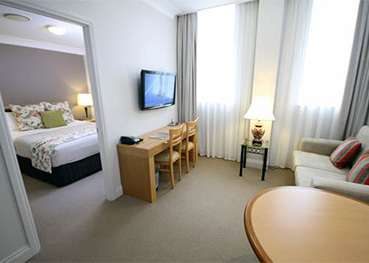 The 5-star guest rooms and suites offer views of Roma Street Parklands and King George Square. Brisbane's Queen Street Mall shopping precinct is a short, stylish stroll away. For reservations, visit the website, email or call +61 (0)7 3222 1125. 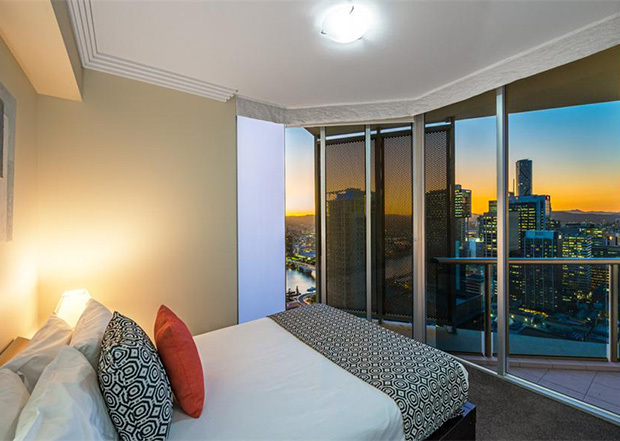 The award-winning Quay West Suites Brisbane welcomes executive guests and families on holiday with gorgeously furnished, serviced apartment accommodation and a truly unparalleled location. Perched on the Brisbane River and just steps away from the City Botanical Gardens, our hotel delivers personalised 5-star service, fantastic amenities, and panoramic views. For reservations, visit the website, email or call +61 (0)7 3853 6000. Rydges South Bank is immersed in the heart of Brisbane; a hotel that shines the spotlight squarely on guests, be they corporate travelers, conference delegates, a family visiting from the country, a couple on a romantic staycation, a single traveler looking to discover new sights and flavours, or a local resident wanting to see the city through a new lens. Rydges South Bank is located in the ever expanding cultural hub of South Brisbane filled with luscious green open spaces. It is home to the internationally acclaimed Bacchus Restaurant, the beautiful Soleil Pool Bar home of curated cocktails and stars, the famed Podium Level, a statement welcome area, and more suites than any hotel in the city. For reservations, visit the website or call +61 (0)7 3364 0800. 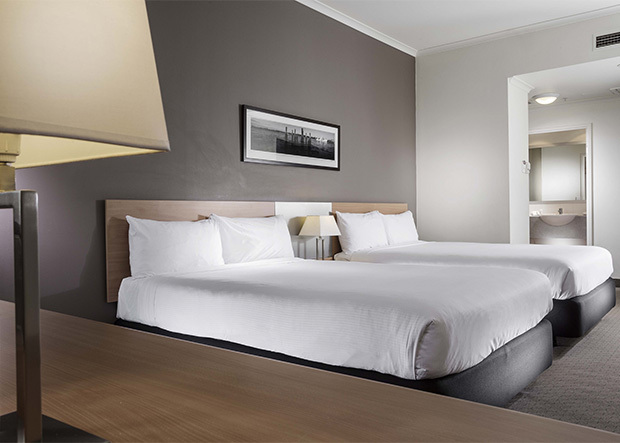 Discover a contemporary, comfortable and elegant destination for business travel, holiday getaways and extended stays at The Sebel Brisbane hotel. Here, in the heart of the Brisbane City CBD just steps from the Queen Street Mall shopping precinct, casino and cultural precinct, travellers enjoy well-appointed studio, one- and two-bedroom apartment accommodation, exceptional dining at The Croft House and amenities that include a recreation deck with heated pool, sauna and gymnasium, 24-hour reception and in-room dining. For reservations, visit the website, email or call +61 (0)7 3224 3500. 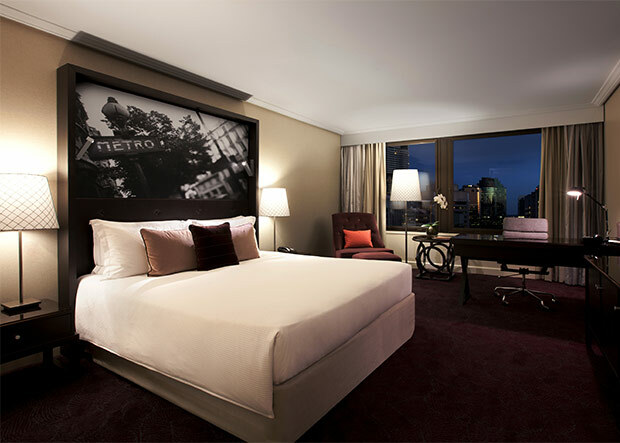 Positioned in the heart of Brisbane, you will discover a hotel of sophisticated luxury and personalised service. Renowned for its inspiring arrival experience via the alluring lobby, the wide choice of food and beverage outlets and breathtaking views of the city and surrounds, the hotel's reputation as the leading choice in luxury accommodation and conferencing is truly deserved. For reservations, visit the website, email or call +61 (0)7 3835 3535. 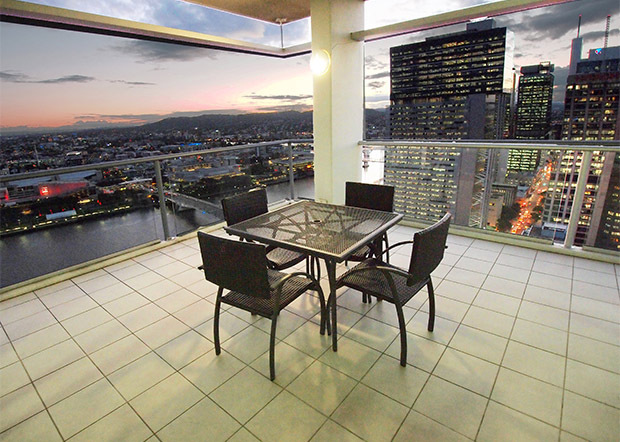 Ideally situated in South Brisbane and just 1km from Brisbane CBD, our modern one and two bedroom apartments offer immediate access to the cultural attractions of South Bank and the vibrant cafes, restaurants and bars of the West End. South Central also offers free Wi-Fi, free parking and the best rates when you book direct. For reservations, visit the website, email or call +61 (0)7 3214 6700. A sophisticated new urban hotel on the edge of South Bank parklands, guests of Swiss-Belhotel Brisbane can enjoy a relaxed stroll along the river to QAGOMA. The hotel has international standard facilities enhanced by exceptional hospitality and features free WiFi, indoor swimming, gymnasium, Café 63 all day dining. Guests will enjoy and relax in fresh, inviting and generously sized rooms. 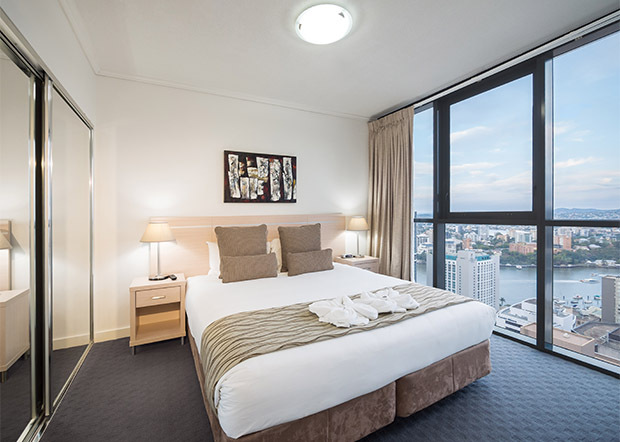 Choose a river view room and enjoy the city lights looking over Brisbane River towards South Bank or across the Kangaroo Point cliffs to Brisbane city. For reservations, visit the website, email or call +61 (0)7 3120 0800. For reservations, visit the website, email or call +61 (0)7 3319 7888.